Building him is pretty easy. Getting some of the stickers on however. THAT’S the challenge. Oh boy the stickers were a mild pain in the neck. They barely have any adhesive. They just barely stay on. A bit annoyed that I creased one of the waist stickers. Yeah I built mine a few weeks ago and have the same complaint about the stickers. I might try to use some sort of glue on them. I don’t think I have the patience to paint such tiny details. Wash the pieces in mild soap and water or a little bit of alcohol... (but that might damage some paint)... before applying any stickers. Oils in the plastic from the manufacturing process and your natural oils from handling will cause adhesion issues. I’ve never had a problem with stickers after washing the pieces and letting them dry. Use an exacto knife or tweezers to apply... use a cotton swap to push the sticker into raised areas. Thanks for the tip! I’ll be sure to do this going forward. 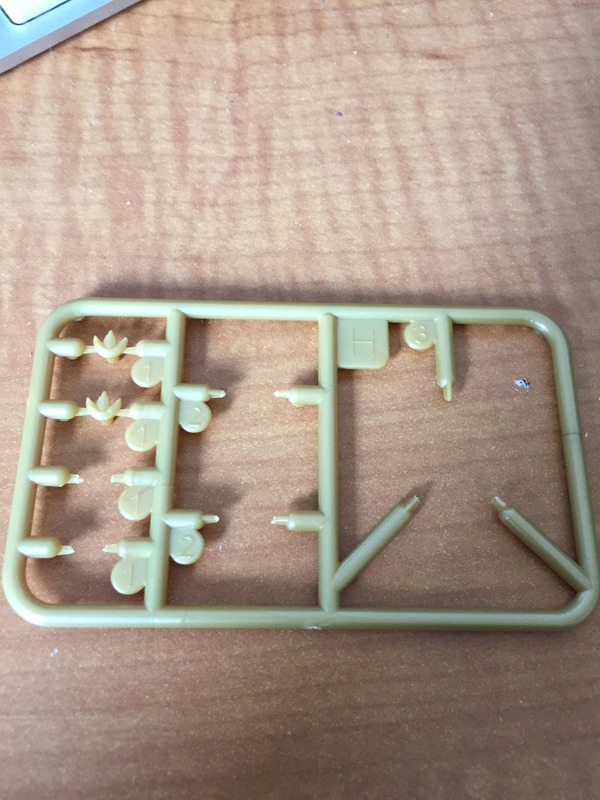 I bought a Gundam model kit tool set and used the tweezers included in there to apply the stickers. Ah well. Maybe that's just a nitpick and I should apply them better? I would gladly accept some sticker repro labels that's all if they made them. My waist stickers have two little mistakes from applying them(as mentioned above) I wouldn't mind some replacements to be absolutely perfect. BTW. 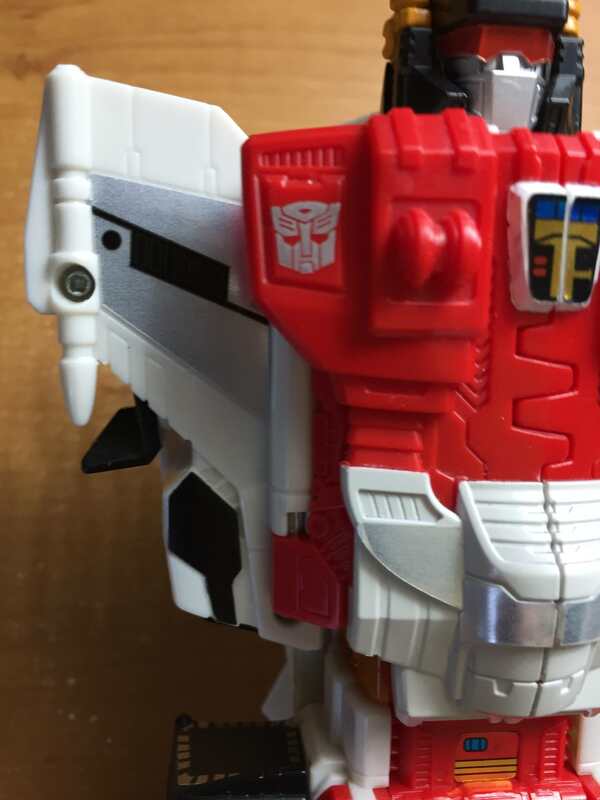 I noticed in another review that there are two leftover emblems. I guess that's incase someone loses one? So uh... when's that Brachion coming out? 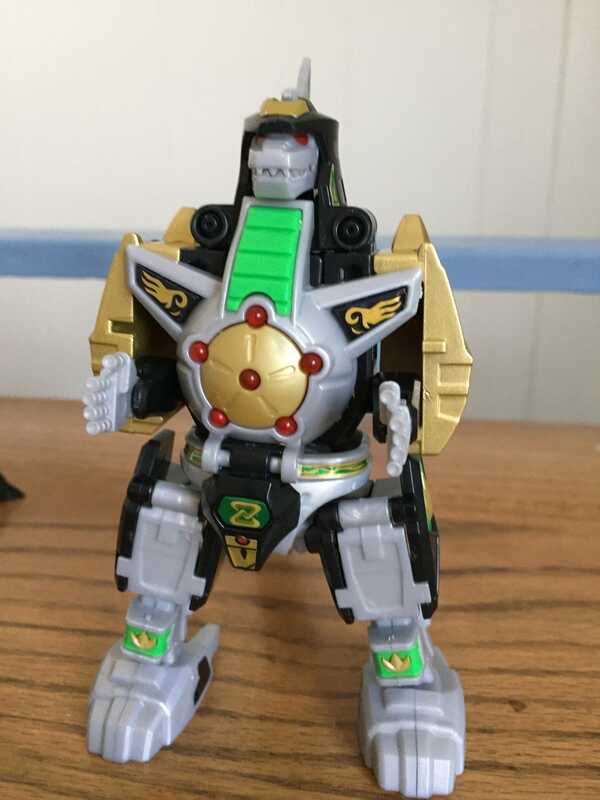 Is there any difference between the Super Mini-Pla Megazord and Daizyuzin sets other than the price and packaging? 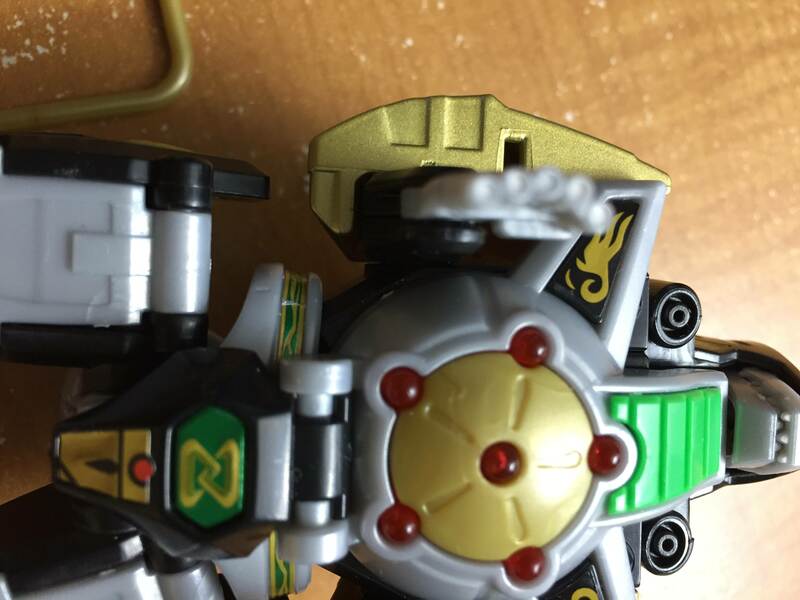 The Megazord description doesn't mention the sword but shows it in the pictures (though the pictures are the same as the Daizyuzin ones). One must be the japanese import and the other one is the american release. The american one doesn't come with candy. The horror. American Megazord is more like an "International" version of the Megazord. It comes in a single rectangular box with cover art in both MMPR and ZyuRanger branding. It kinda weirded me out when I first got my kit because I thought it was was going to be like how MMPR Figuarts and Zyu Figuarts are branded completely separately. The actual parts inside the box are the same as the Japanese version, just arranged differently. 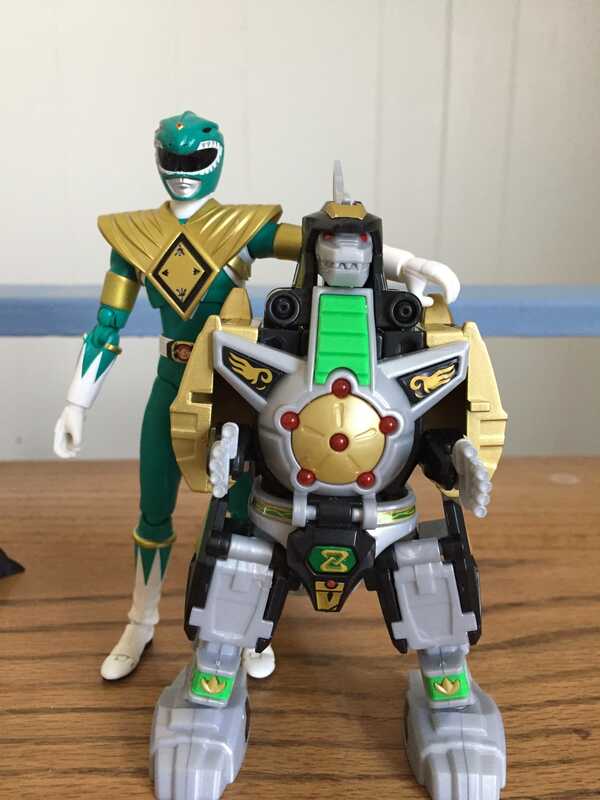 So after I bought and built the Dino Megazord and Dragonzord minipla....I bought Kyuranger's. Got the metallic versions of Ryu Voyager, Houou voyager, Koguma/Ohguma Voyagers and the regular version of Orion Battler. 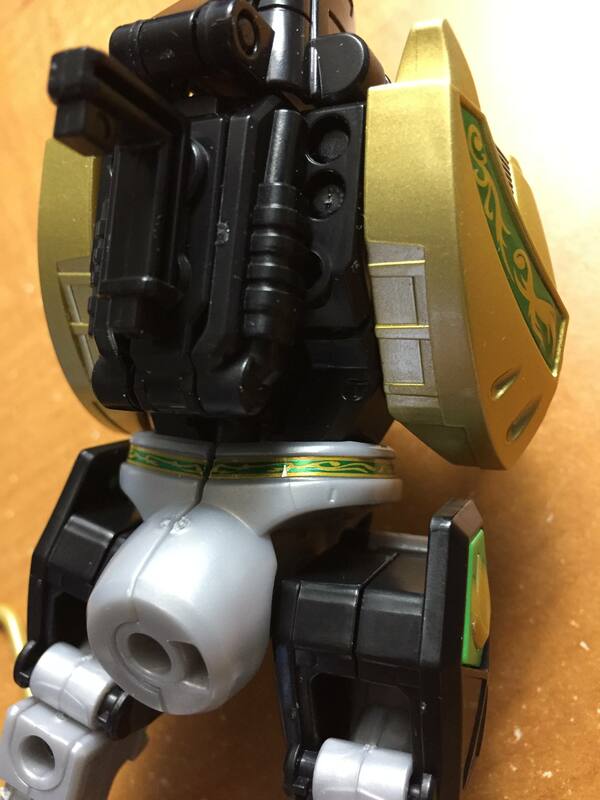 Kojishi Voyager, Morimer robo, and Metallic Kyuren-Oh are on the way. Just need Cerberus Voyager to round them out. The quality past Kyoryuger has been great. I got the Go-Buster kit and that was good as well. Haven't messed with much prior. Good to know as Go-Busters was probably the next team mecha I'd buy after Zyuohger. Thank you! I've only ever had complete Go-Onger and complete Shinkenger, but they were amazing. I really want to get some more, but they are a little out of my budget atm.